An attorney’s time is precious, so if they’re able to speak to their client from the convenience of their office and not have to physically go to the jail, it would be a great thing. With video visitation, attorneys can do just that. At HomeWAV, we made it simple for attorneys and inmates to schedule their meeting online and all sessions are recorded and came be used in the court room. With video visitation, it cuts down the need for correctional officers and administrative staff to assist which frees them up for other responsibilities. No jail staff is needed to transfer the inmate to a visitation room and no jail staff is needed to search the attorney when entering the facility since this is a video visitation. Many times, an inmate may be moved to another facility making it a long drive for the attorney to meet up and discuss their case together. Video visitation makes this much easier for both parties. 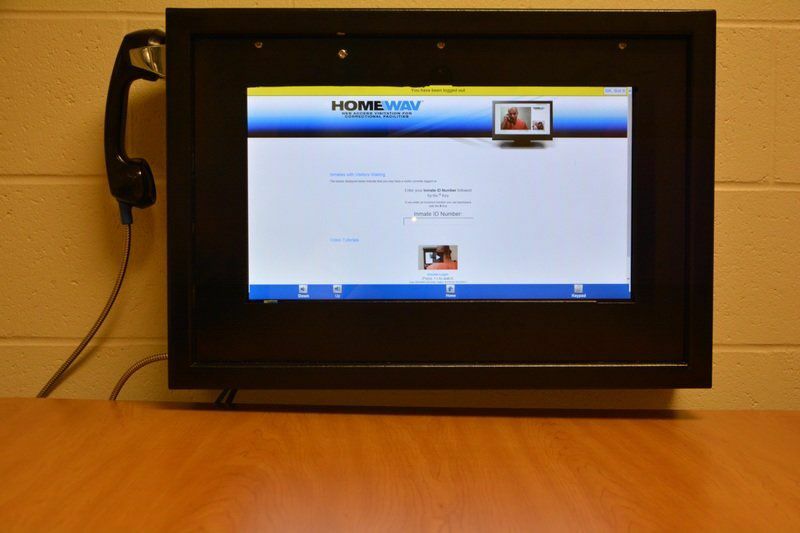 If your correctional facility is interested in a cost effective solution for visitation that produces revenue on day one, contact us at HomeWav today. Sometimes being the leader in something is not always a good thing. As is the case with the United States being the world’s leader in incarceration. There are over 2.2 million people in our nation’s prisons and jails. Over the last 40 years, this is a staggering increase of 500%. One of the most efficient and effective ways to reduce recidivism amongst inmates is with video visitation. Often times, once an inmate is released the likelihood of them re-offending is fairly high. The Minnesota Department of Corrections found that if family or friends visited the inmate just once that it reduced recidivism by 13% for new crimes and 25% for technical violations. DANVILLE — Set up similar to Skype, inmates at the Hendricks County Jail now use video visitation to communicate with their loved ones. At a recent county commissioners’ meeting, Sheriff Brett Clark demonstrated the system to the commissioners by using a jail employee to call into the government center so they could see the program live. The jail has had a video visitation system for some years, Clark said, but at the end of 2015, they switched to HomeWav, a site for web access visitation for correctional facilities. The HomeWav system was implemented in December 2015. So far this year, more than 5,100 calls have been made using it. The month of April alone had around 900. January, the first full month of service, had nearly 950 calls.